Locally owned and operated, Patriot Hardwood Floors, specializes in hardwood installation, sanding, refinishing, custom floors and inlays, and historical renovation. We offer a number of custom elements including European penetrating oils/hardwax finishes, dust free sanding, and locally sourced custom hardwood flooring. Our top priority is keeping the homeowner's health in mind when executing a project to the utmost quality. We utilize eco-friendly products that are nontoxic and don't require the homeowner to vacate their home. Customer service and transparency are what our clients love most about working with us. 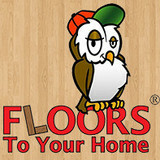 Floors To Your Home was founded in Louisville, Kentucky in 1921 by Irvin Kahn. Irvin's son Norman took over as President in 1948 and soon forged a reputation as a businessman with a keen eye for great deals. Norman's son Marshall came aboard in 1971, followed by his brother Dan in 1982. The Kahn brothers opened a branch in Indianapolis, Indiana in 1989. As time passed, the Indianapolis location became the company's main headquarters. In 2002 the first Irvin Kahn & Son retail location opened, under the name Mr. Wise Buys. Now known as Floors To Your Home, that original location shares its name with its sister store in Noblesville, Indiana and the company's online retail branch. Marshall's sons Brian & Jeff became the fourth generation of Kahns to enter the family business in 2007 & 2012. While times have changed, Irvin Kahn's basic principle has not: great flooring at great prices! *Authorized Mohawk Flooring Dealer* Superior Crafters LLC has a wide selection of the highest quality flooring, carpeting, hardwood, laminate, ceramic tile, and luxury vinyl flooring at the best prices. Conveniently located in Carmel, IN, Superior Crafters has an experienced and knowledgeable staff who will guide you through each step of selecting the right flooring for your home or business. Whether you need a new carpet, hardwood floor, or ceramic or vinyl tile, our friendly flooring experts will help you find exactly what you need to fit your taste, lifestyle, and budget. Come visit our Carmel showroom! We are a company that is dedicated to providing a full-service experience in carpet, hardwood, custom tile work, kitchen and bath remodeling, and interior repair. We want to take your project from the first thought to the final result, including design, consultation, and providing materials, installation, and unbeatable customer service. All Wood Floor Service—We Install & Refinish Hardwood Floors A wood floor in any home adds warmth and enhances any decor. Hardwood floors are cleaner than carpeting and add value to your home or business. 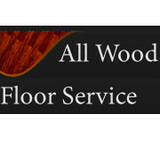 All Wood Floor Service is an Indianapolis, Indiana hardwood floor company that offers a unique and quality hardwood flooring service. Whether you need someone to refinish hardwood floors that are already in your home, or you need a professional hardwood flooring installation, we have the expertise, workmanship, and high quality customer service, to fit your unique taste. We offer the latest in products and techniques to give you the best possible product available for any budget. Gooch & Company Distributing, Inc. was established in 1972. We are the paint, flooring, carpeting and mattress specialists that retail and wholesale customers alike have relied on for 40 years for their home décor and home improvement applications. We stock a large inventory of products, so we’re sure to have something in stock that suits your budget! Our inventory includes all the latest styles in paint, flooring, carpeting and memory foam mattresses. Whether you’re looking to replace an old bed, or add new hardwood floors, our experts will help you select the material that best suits your budget and complements your home's décor. All of our products are sold wholesale and retail. We invite you to visit our 10,000 square foot showroom and take a look at all our offerings. When you choose Gooch & Company Distributing, Inc., you benefit from the wisdom and knowledge that only a company with more than four decades experience can provide. Business Hours: Monday-Friday 8 a.m.-5:30 p.m. Saturday 9 a.m.-1 p.m. The Great Indoors Wood Floors was founded by Brian Depp in Indianapolis. Brian and his crew do excellent hardwood floor work for homeowners, business owners, and remodeling contractors. Family owned and operated small business! We are local to the greater Indianapolis area and place a premium on service and satisfaction! Flooring company founded in 2010. We specialize in any type of flooring for your home including, carpet, hardwood, laminate, ceramic, bamboo, cork, and anything else you might desire. Albert Griffith & Sons, Inc. Founded in 1946, Albert Griffith & Sons is a hardwood flooring business specializing in the sales, installation, repair, and sanding and finishing of hardwood floors of all ages and types. We have our own employees and do not subcontract. Try our customized approach by selecting a species, width, custom colors and finishes to make your home one of a kind! *Authorized Dealer of Shaw Floors* If you're considering any kind of new flooring purchase, you owe it to yourself to check out the remarkable selection and services offered by family-owned Kinsey's Floor Covering and Expert Installations. From a small area rug to a full-house hardwood makeover, we sell the materials to create whatever look and feel you desire for your environment. Whether you're completing construction on a new office complex or just going for a new look for your current home décor, Kinsey's Floor Covering has the materials. Classic yet contemporary, hardwood floors are one of the most beautiful types of flooring a home can have. However, if not installed correctly or damaged, a floor can threaten a home’s entire interior aesthetic. That’s where Hendricks County, IN hardwood flooring installers and dealers step in. Whether you need a hardwood floor installation or replacement, or just want some guidance on the types of hardwood flooring available, these Hendricks County flooring pros can help. What kinds of services do hardwood flooring installation professionals in Hendricks County, IN provide? Find hardwood floor experts in Hendricks County, IN on Houzz. Search the Professionals section for Hendricks County, IN hardwood flooring installers and dealers or browse Hendricks County, IN photos of completed installations and look for the professional’s contact information.